A fun and practical range of electrical appliances to create, ice cream,a chocolate fountain, candy floss, popcorn, waffles, cupcakes, brownies, donuts and hot dogs at home. Prepare popcorn using hot air without the need for oil preperation. Suitable for parties, movie nights etc. Includes Measuring cup & 4 popcorn bags. Creates fresh, warm popcorn in less than 5 minutes!. This Pink Doughnut Maker allows you to quickly make freshly baked, tasty doughnuts for friends and family. Makes up to 7 doughnuts at one time! The compartments are non-stick allowing the doughnuts to easily be removed, once cooked. Perfectly melts chocolate leaving you with the fun of dipping and coating your favourite foods. Ideal for covering your marshmallows, strawberries, grapes, biscuits, nuts and more. 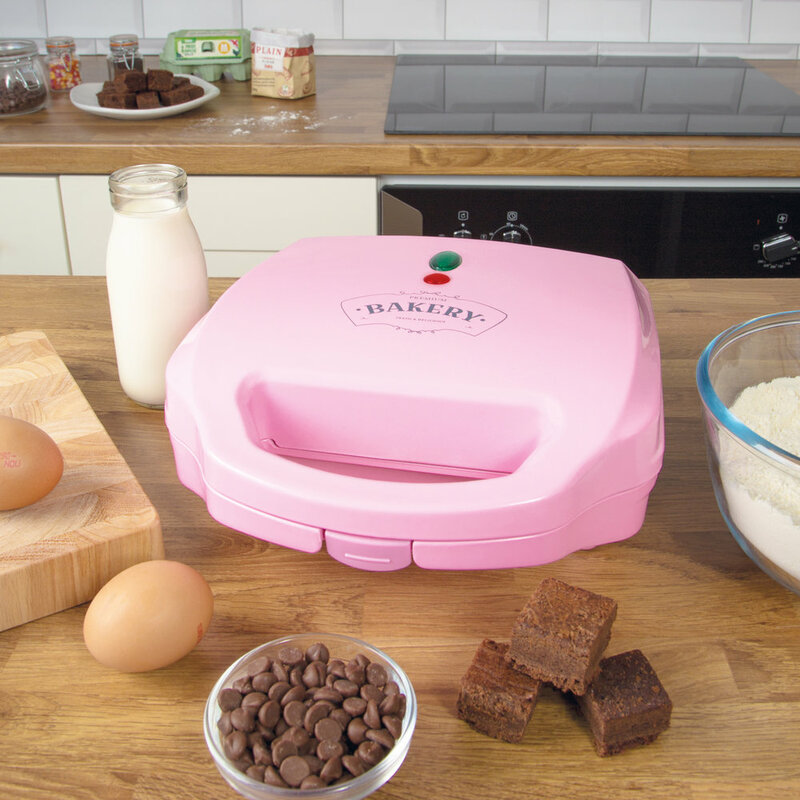 This Pink Waffle Maker allows you to quickly make freshly baked, tasty waffles for friends and family. Makes up to 5 waffles at one time! The compartments are non-stick allowing the waffles to easily be removed, once cooked. Enjoy the taste of the funfair with this easy to use Candy Floss Maker. Easy to use, just add sugar! Simple to operate and easy to clean. Ideal for kids parties or girly sleepover! 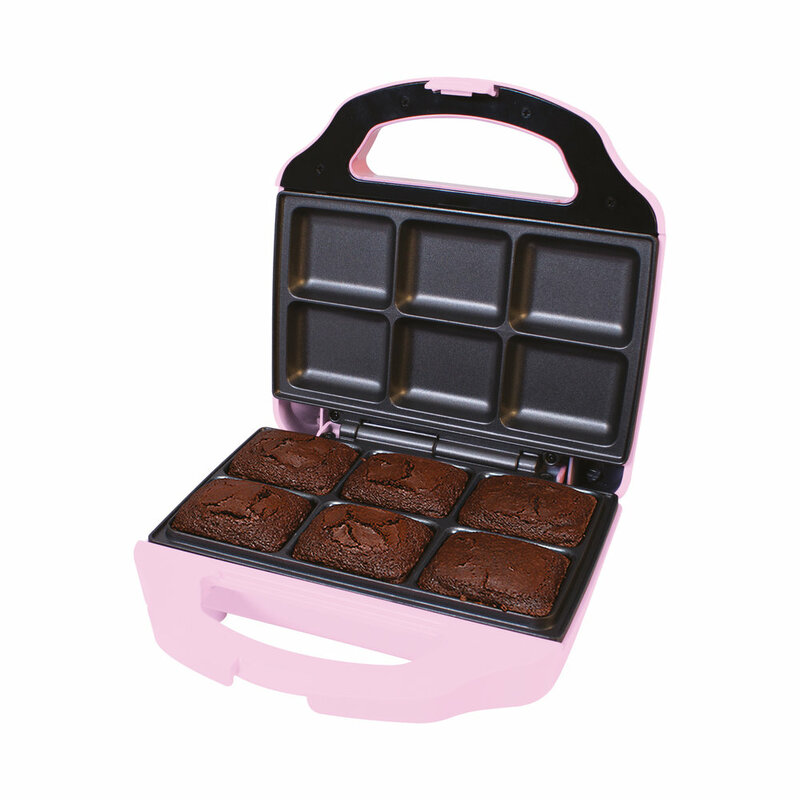 This Pink Brownie Maker allows you to quickly make freshly baked, tasty brownies for friends and family. Makes up to 6 brownies at one time! The compartments are non-stick allowing the brownies to easily be removed, once cooked. 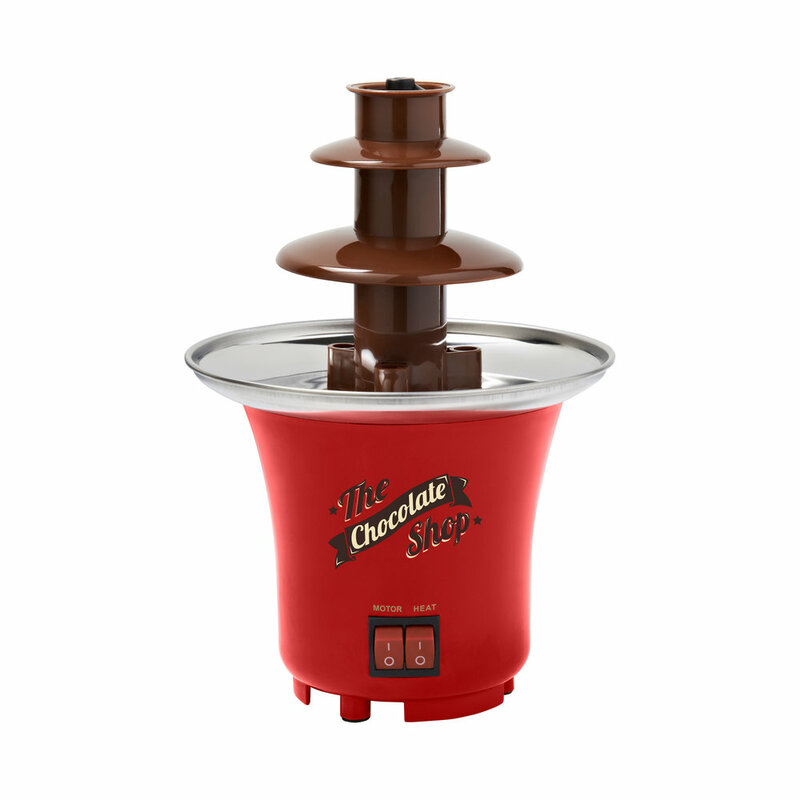 A cascading fountain of chocolate, ideal for covering your marshmallows, strawberries, biscuits and more. Perfect for parties, sleepovers or simply for a serious chocolate session at home! This Pink Cupcake Maker allows you to quickly make freshly baked, tasty cupcakes for friends and family. Makes up to 7 cupcakes at one time! The compartments are non-stick allowing the cupcakes to easily be removed, once cooked. Fun retro carnival style popcorn machine. Quick to set up, just add corn! No butter or oil required! Easy to clean, it is ideal as a gift or to enjoy with family and friends for a home movie night!